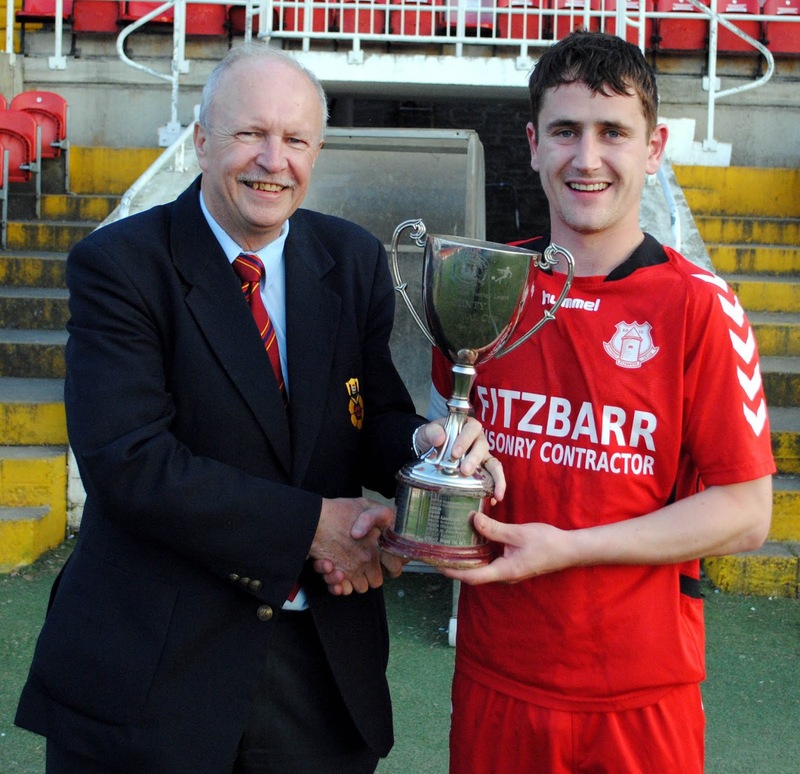 Martin Conlon (Cork AUL) presents the County Cup to Tower FC’s Colin Murphy after their 4-2 penalty shoot-out victory over Hibs following a 1-1 draw at the Cross on Sunday night (10 June 2018). 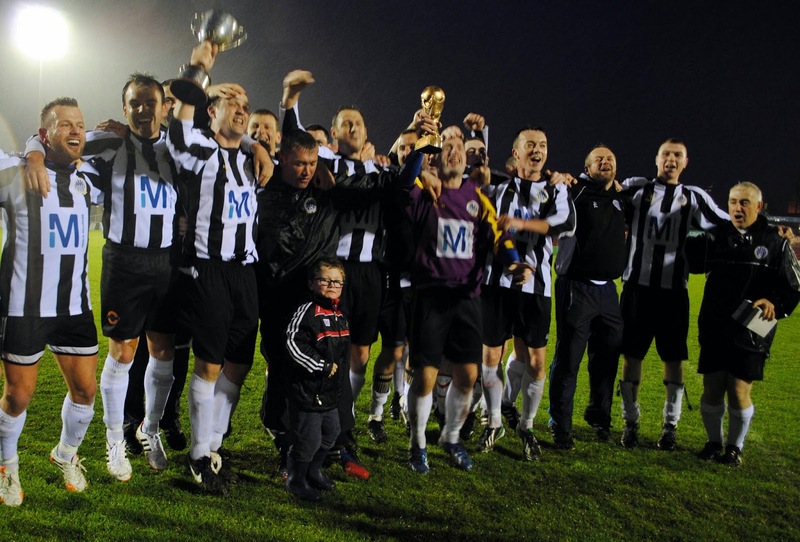 Tower FC players celebrate after winning the County Cup following their defeat of Hibs 4-2 in the penalty shoot-out after a 1-1 draw over extra time at the Cross on Sunday night (10 June 2018). 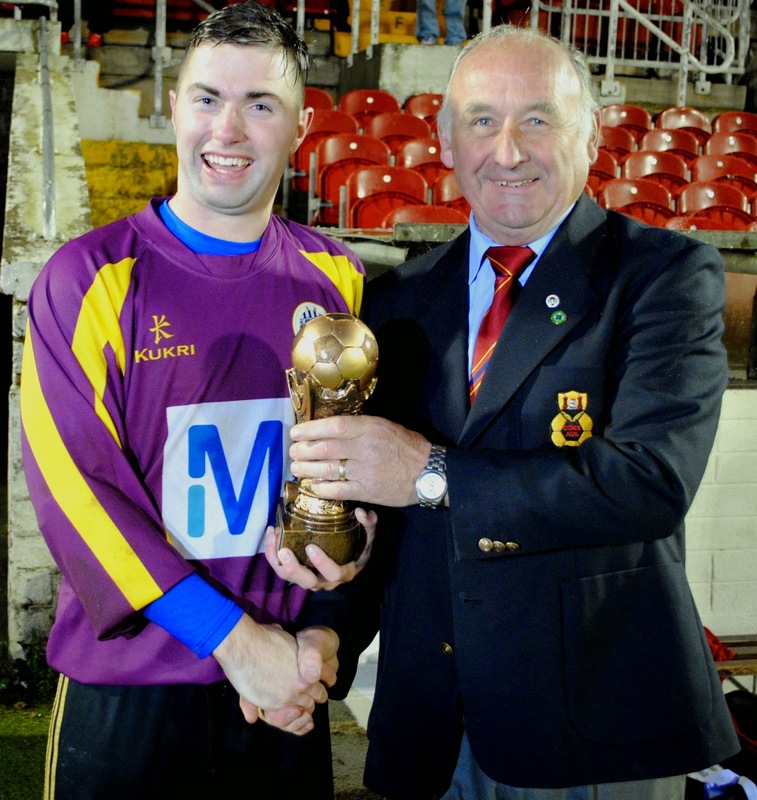 St John Bosco A v Buttevant. 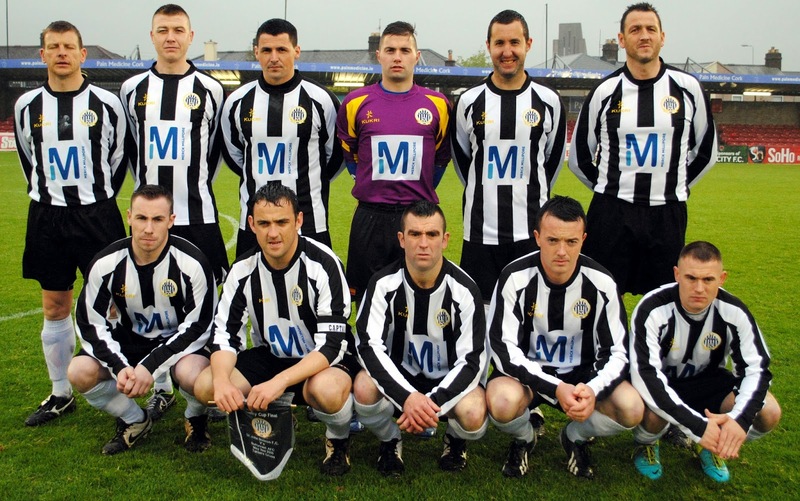 The St John Bosco side that had a 1-0 victory over Buttevant to clinch victory in the County Cup Final at the cross on Saturday night. 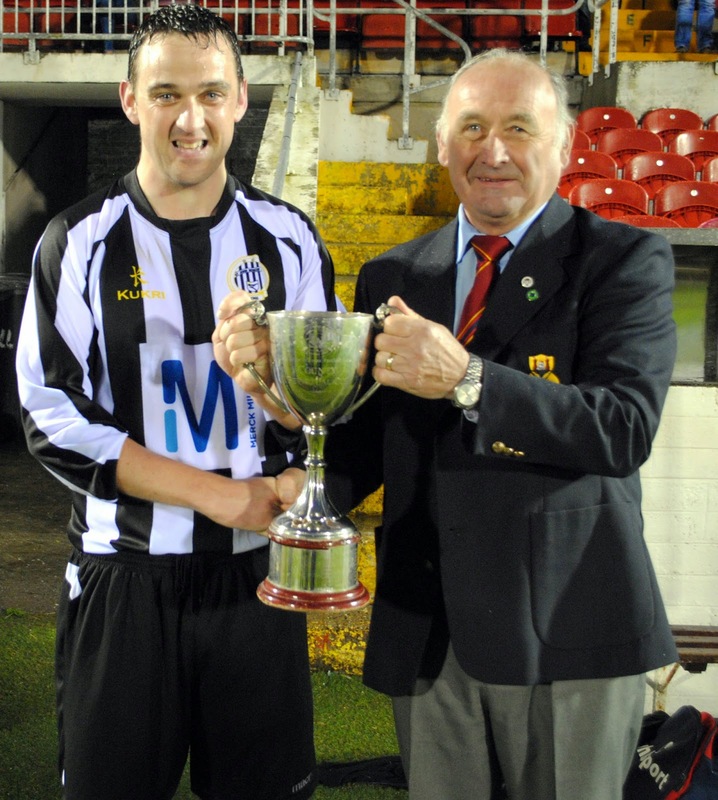 Barry Fitzgerald (Captain of St John Bosco is presented with the County Cup by Richard Browne (Cork AUL) following their 1-0 victory in extra time over Buttevant at the Cross on Saturday night. 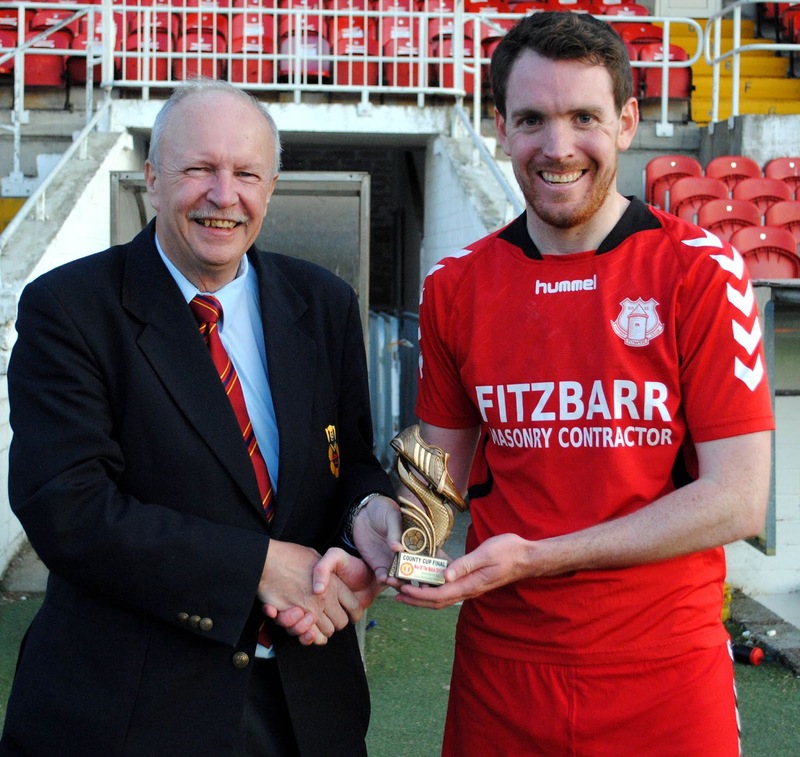 St John Bosco keeper Ray Savage receives his man of the match award (Sponsored by Gary McCarthy Trophies) from Richard Browne (Cork AUL). 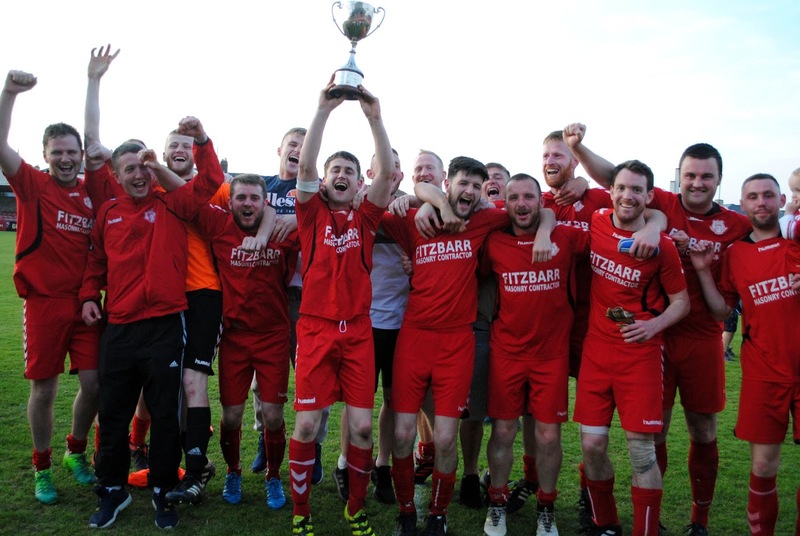 St John Bosco players and supporters celebrate after winning the County Cup following their 1-0 victory over Buttevant at the Cross on Saturday night.